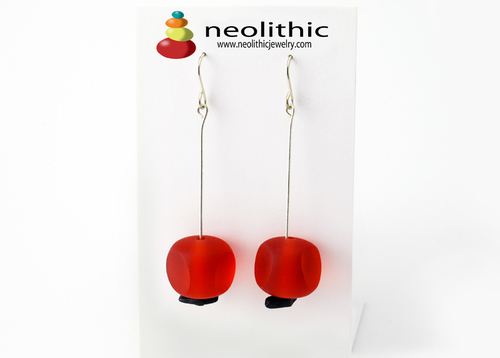 Dazzle your friends with this pair of red resin and onyx earrings. 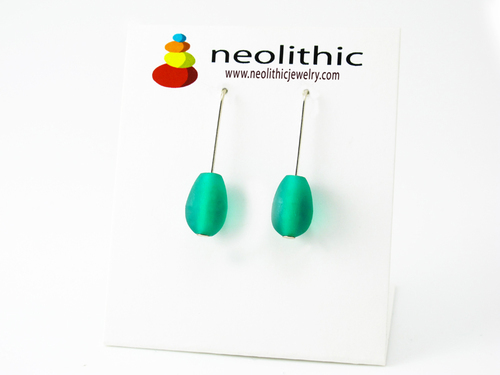 The rounded square funky beads are crafted with a keen eye for fine detail and design. 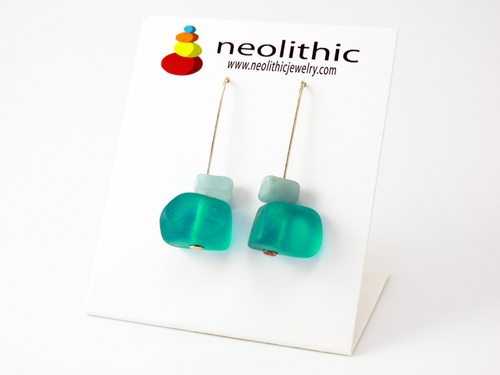 Nothing says class like a great pair of resin earrings and no one quite makes these like Neolithic Jewelry. 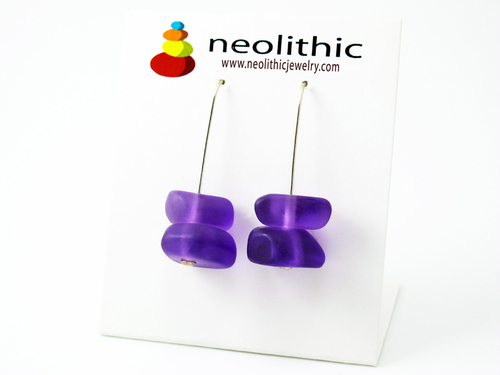 The design and color makes these chunky earrings very eye-catching and unique. These will put your fashion style cutting edge. 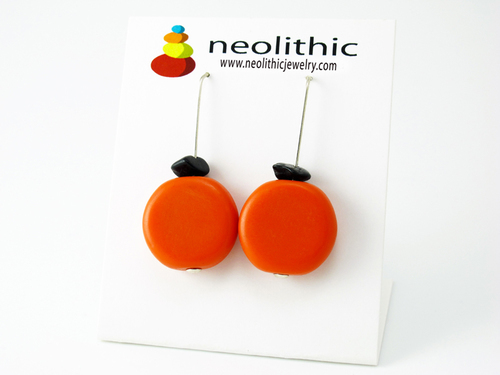 In addition to my resin jewelry obsession, I have combined this pair of fun earrings with a touch of real black onyx. Onyx is the birthstone of zodiac signs Gemini and Leo. 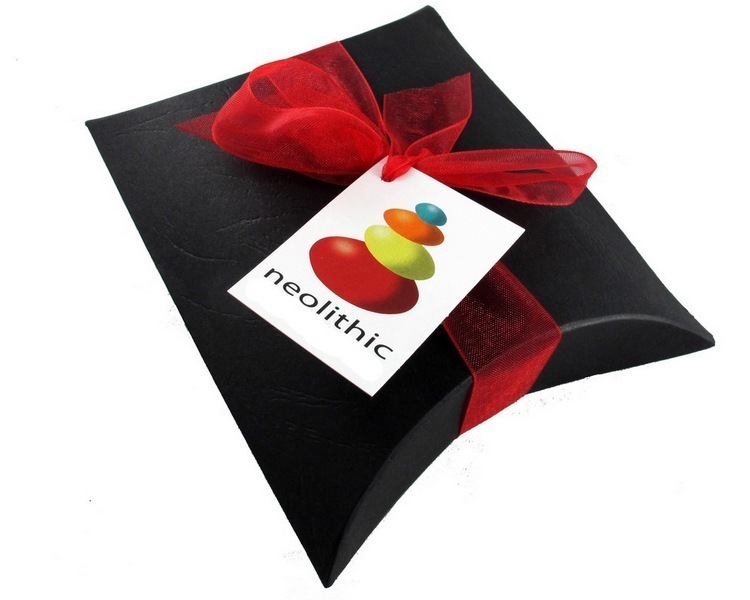 Black onyx is said to help control stress and eliminate negative thinking. What more can you possibly want from this a pair of earrings?